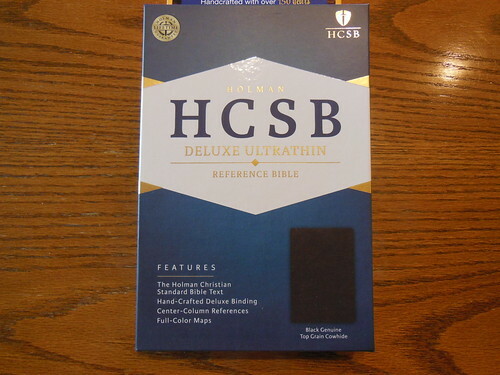 The Holman HCSB, Deluxe Ultrathin Reference Bible in Black Genuine Top Grain Cowhide, is an Excellent Idea, but Poorly Executed. the tail band was sliced, one of the end pages was dog eared, the cover was not glued down to the inside liner well enough, this allowed the pages to get between the liner and cover, and the pages were all stuck together. 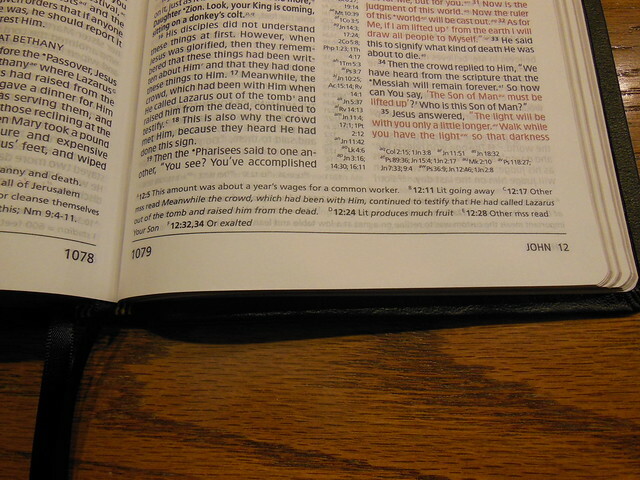 The gold stamping would have been enough to send this Bible back as it is fairly expensive. The second Bible sent to me to replace the first one has leather debris sandwiched between the cover and the liner, leaving two lumps on the front cover. These will cause the cover to wear out and eventually put holes in it. That would have been enough to warrant sending that Bible back as well. Generally, I am very pleased with Holman Bibles. Many of their Bibles are produced in South Korea. This one was produced in China. Almost all of the incidents I’ve had with defects in workmanship or materials, have been with Bibles made in China. It doesn’t seem to matter who the American publisher is, whether it is Lockman, B&H, or Hendrickson when they make Bibles in China the quality control is problematic. Where Holman stands above some of the other publishers is in their customer service. They have quickly and courteously supplied me with another copy, when I brought the defect to their attention. Some publishers were unwilling to replace defective copies. Lockman has replaced defective copies as well, but this review is of B&H. If this Bible would have been produced without defects, with a higher quality liner, and end papers, it would have been worth the retail price. I would suggest that B&H stop making this Bible in China, and move the production to someplace with higher quality standards. This would have been a great Bible considering the ambition of the design. 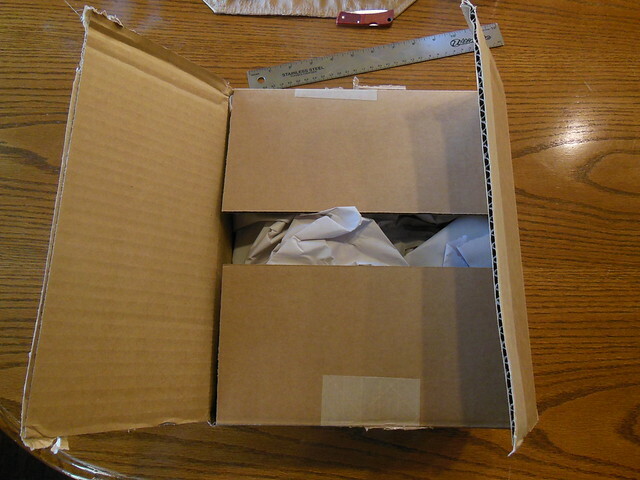 It was shipped in a cardboard box with paper packing. 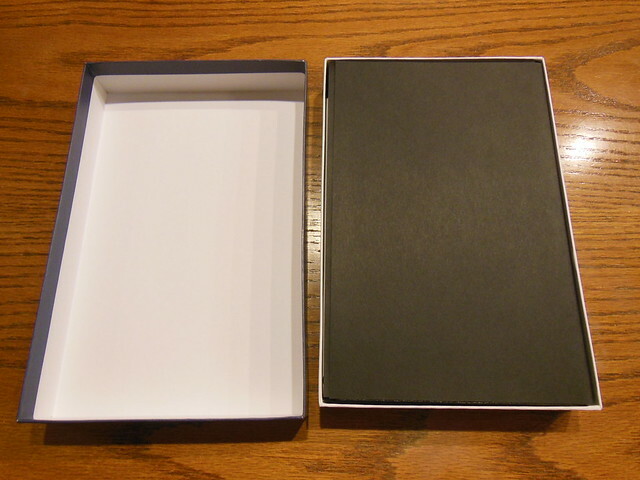 The retail box inside is a two piece box, that should be retained for storage. but it has been pared pretty thin. 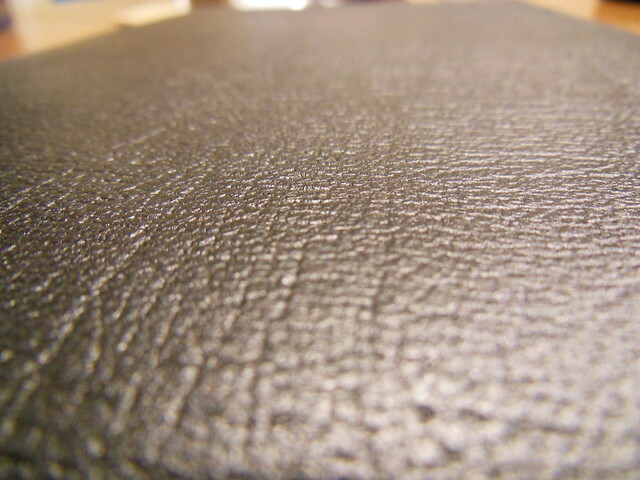 I don’t know if Holman supplied the leather or allowed the Chinese binder to provide the leather. The liner looks like a synthetic material. It doesn’t glue well to the hide cover. The end papers are very thin as well. This might have been done to increase the flexibility of this Bible given that it is edge lined bound and not case bound. I appreciate what they were attempting to do, but the end papers just came off as cheap. 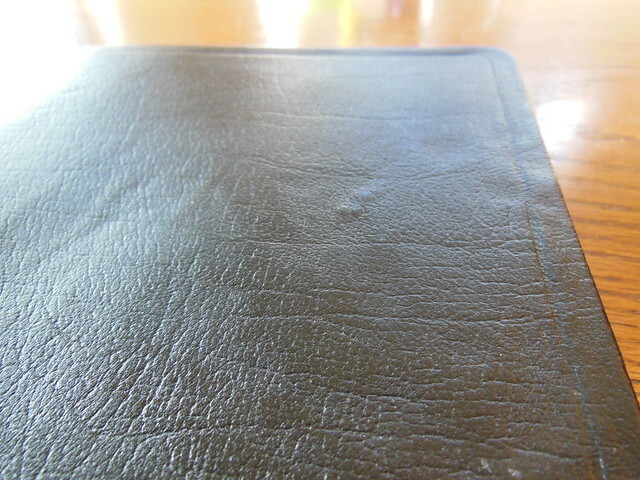 I love when a Bible has a genuine, high quality hide as a cover. The smell and feel of a genuine hide, not to mention the durability, ensure many years of use. 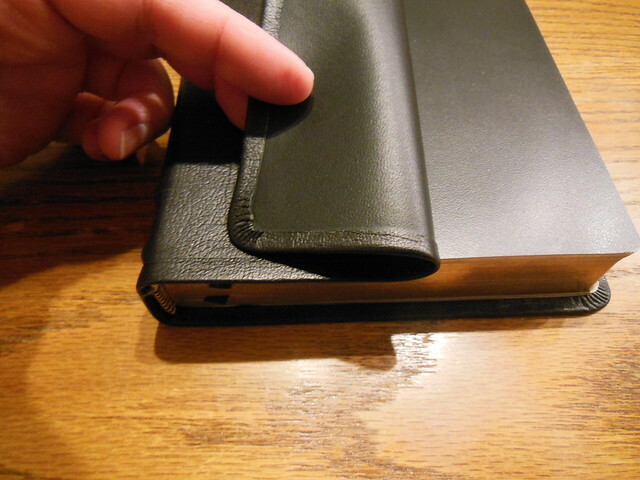 Combine that with a flexible sewn binding, and you have an easy opening Bible that lies flat on your table, or can be wrapped around itself, to be held in one hand for easy reading. The line matching helps to keep the text legible in conjunction with the uniform printing and ink consistency. 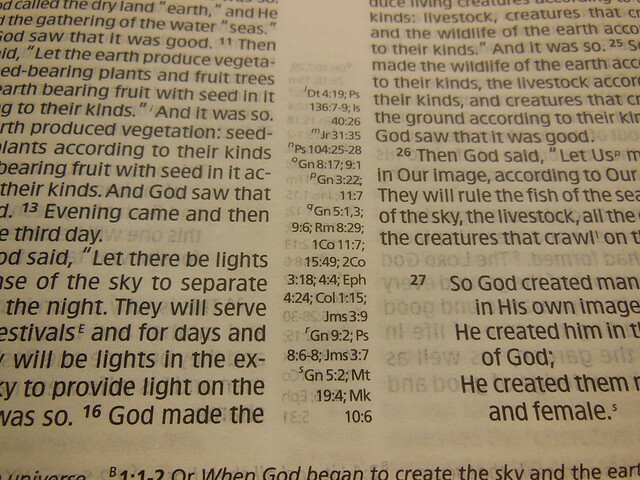 This is a double column paragraph format, red letter edition Bible. There is an oddity that puzzles me. They printed the book names and chapters on the bottom of the page, instead of at the top where it typically is located. It makes you pause for a moment when trying to turn to a specific scripture. Chances are good that I could have been sent a Bible with zero defects and my review would have been extolling the virtues of this great little Bible. Chances are, you might order it and receive a good copy. I just happened to get tow in a row with defects. The good news, is that Holman will make it right if you get a bad one. If you really want an HCSB in ultrathin that is edge lined and covered with top grain leather, this is about one of your only choices. 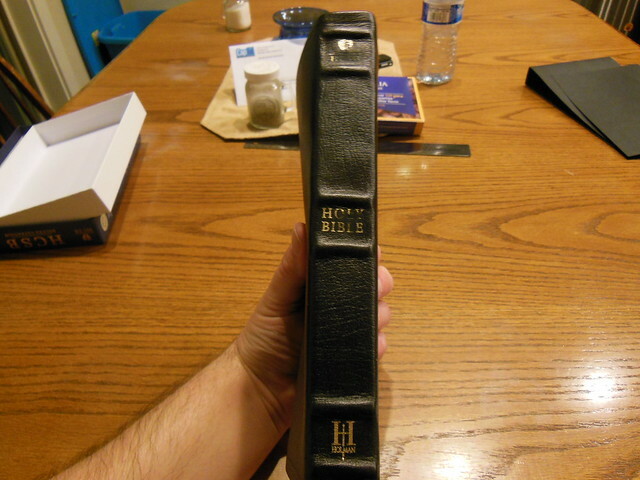 Make sure to check out all of the pictures I took of this Bible and its replacement on my flickr page.